We have been hearing about Google’s plans to step up the online shopping with its ads since the last month, and now Google has made it official. ‘Purchases on Google’ will be rolled out in The U.S. in the next few weeks and will let the shoppers buy directly from mobile ads shown in the web search results. How Would It Benefit The Consumers? If you are an online shopper, then ‘Purchases on Google’ will make your life easy by letting you shop directly from the search results. This would be made possible by showing the buyers a ‘buy‘ button on the mobile ads shown in the web search results. When clicked the ‘buy’ will take you to a product page with merchant’s branding hosted by Google. The shoppers will then be able to pay for the product using the payment information linked to their Google account. With ‘Purchases on Google’ in action, Google will only act as an intermediary for providing the shoppers with an easy online shopping process. The actual product fulfillment will still be handled by the merchants. Google only aims to reduce the friction in mobile purchases by its new feature and doesn’t want to interfere in the buyer-merchant relation in any way. To make the shopping process a breeze, the merchant’s shopping page will also have option to search for other products. This will be especially useful in cases where the listed product wouldn’t be what the buyer searched for. How Can Digital Marketers Benefit From It? Google AdWords, the favourite online ad platform of many digital marketers can unfortunately only be used to drive traffic. It can’t be used to drive the sales directly. But with ‘Purchases on Google’ feature where the sellers would be able to embed a ‘Buy’ button in the ad itself, you can get your conversion rate metric in simpler way. This would help you focus more on what works rather than putting in efforts on all types of ads. During its initial testing phase, ‘Purchases on Google’ will be available only to a select few U.S. merchants who will be able to launch new ads with a ‘Buy’ button. In this era of online shopping, more and more companies are putting in more resources towards their own digital shopping solution. PayPal, Apple Pay, Samsung Pay are to name a few. According to Deloitte report, the Digitally Influenced Sales in retail stores will reach $2.2 trillion by the year-end in the U.S. market. That’s why Android Pay and ‘Purchases on Google’ seems to be a step in the right direction. There is no word on the global launch of ‘Purchases on Google’ as of now. But if this experiments gets the desired result in the United States, then Google might launch in the rest of the world shortly. 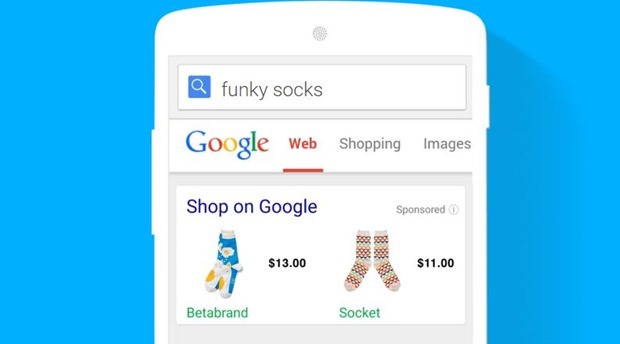 "You Can Now Shop Products Directly From Mobile Ads Via 'Purchase On Google'", 5 out of 5 based on 1 ratings.